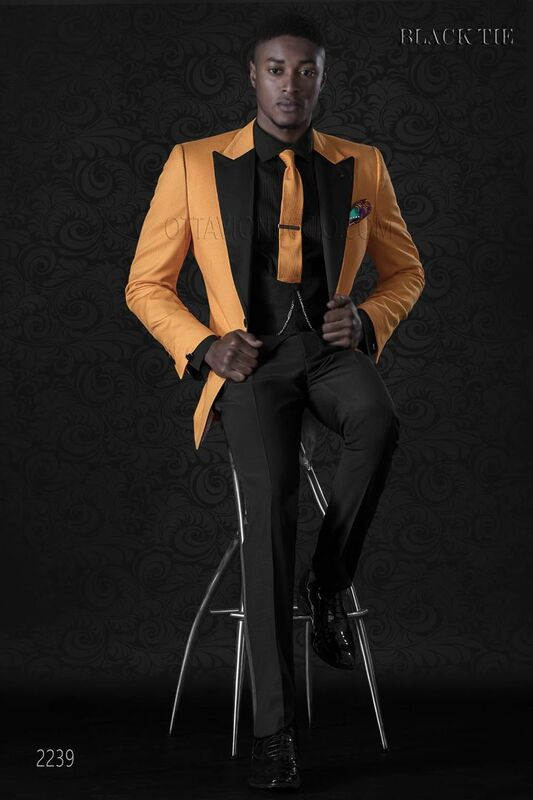 Orange cotton jacket with peak lapel in contrast fabric and single patterned button closure. Flap pockets with contrast... Orange cotton jacket with peak lapel in contrast fabric and single patterned button closure. Flap pockets with contrast trim and angled buttonholes. Single patterned button and angled buttonholes at cuffs. Single vent at back. Green cotton piqué necktie with straight bottom. Handmade.